With the political situation as it is, partying may not be the first thing on the minds of Mexican Americans, other Chicanos; and yanks that are looking for an excuse to tip a few Coronas. Cinco de Mayo (May 5) is quickly approaching and a night of festivities for everyone might be just what the doctor ordered. 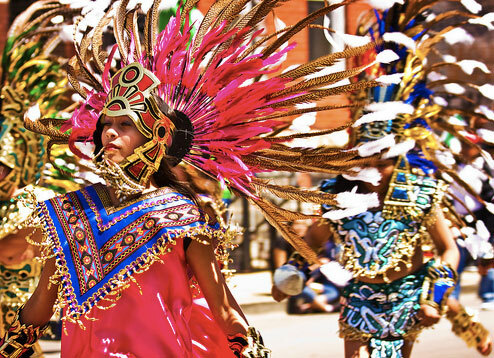 Cities throughout the United States celebrate Cinco de Mayo, also known as the Battle of Puebla, and many people mistake the holiday for Mexican Independence Day. However, Mexico declared independence from Spain on Sept. 16, 1810, whereas the Battle of Puebla happened on May 5, 1862, more than fifty years later. In the turbulent years after winning its independence from Spain, Mexico had amassed large amounts of debt from several countries, including Spain, England and France. Due to rising political unrest in the country, Mexican President Benito Juarez issued a moratorium on all foreign debt repayments for a period of two years, after which the payments would begin again. Spain, England and France were outraged and banded together, each sending fleets of soldiers and national representatives to retrieve moneys owed to them and seize property rights in lieu of payments. Spain and England both made agreements with Mexico concerning repayment and withdrew their troops. However, France, under Napoleon III, had other ideas in mind, namely conquest. Napoleon wanted to place his relative, the Archduke Maximilian of Austria, into power as ruler of the country. France refused the offers given to them and Napoleon ordered troops into Mexico City. President Juarez reacted quickly by appointing General Ignacio Zaragoza. The general rounded together 4,500 ill-equipped Mestizo and Zapotec Indian farmers set to attack. The French Army had brought only 6,500 troops, assuming an easy takeover, but was met with harsh resistance throughout the march from the coastal town of Veracruz, where the troops landed. Once the French reached Puebla on May 5, the Mexican army defeated them with a combination of guerilla tactics, inhospitable terrain and a cattle stampede from nearby villagers. The French were forced to withdraw and the Mexicans won the battle. Unfortunately, the romance soon came to an end and the French eventually won the war, occupying the country for a short time until 1867, when Archduke Maximilian was shot and Benito Juarez reformed the government. Today, May 5 is celebrated in Puebla, Mexico City and, to a lesser degree, the rest of Mexico. Military parades, special meals and even a reenactment (sometimes fought with real gunpowder rifles) can be seen in different cities throughout the country.